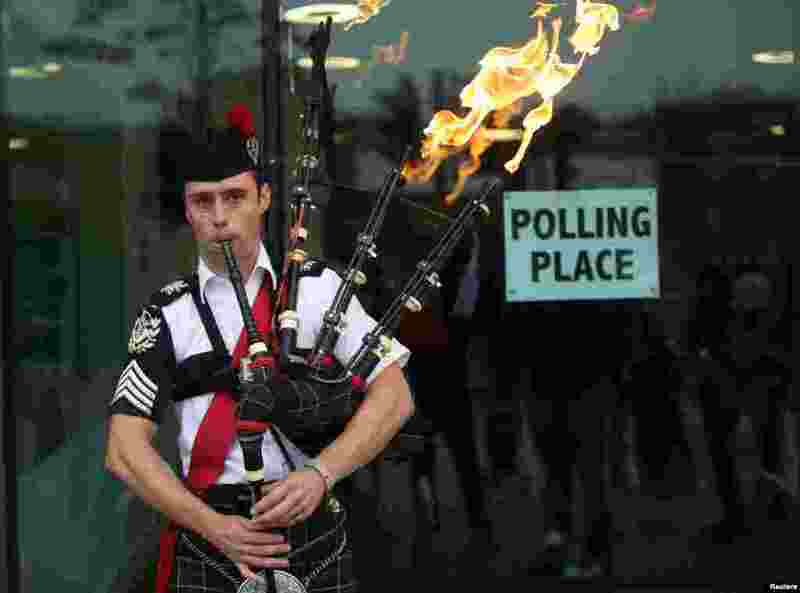 1 Ryan Randall plays the bagpipes outside a polling station in Edinburgh, Scotland. Scotland votes whether or not to end the 307-year-old union with the rest of the United Kingdom. 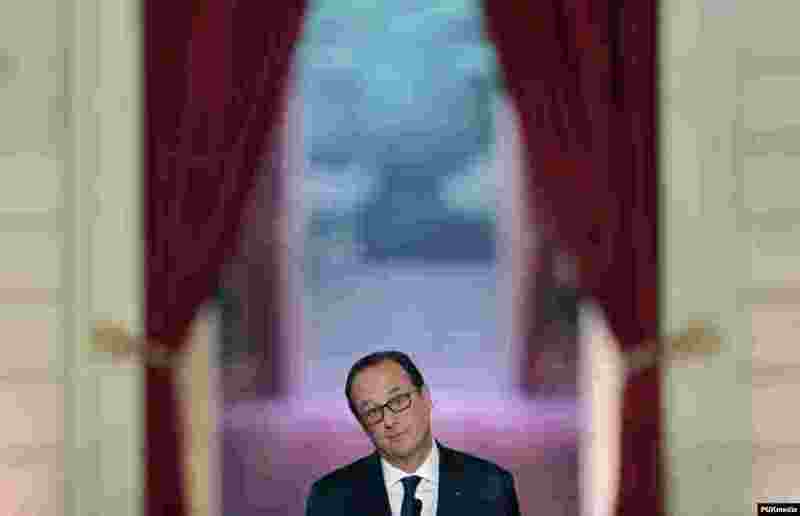 2 French President Francois Hollande addresses a news conference at the Elysee Palace in Paris. 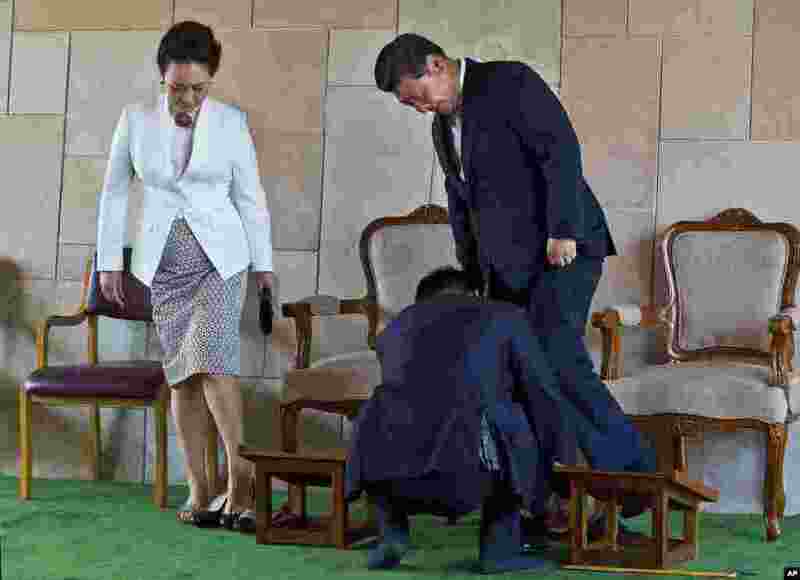 3 An aide helps Chinese President Xi Jinping wear his shoe, with his wife Peng Liyuan standing beside, after visiting Rajghat, the memorial to India's independence leader Mohandas Gandhi, more popularly called Mahatma Gandhi, in New Delhi, India. 4 Tibetan exiles are detained by police during a protest outside the venue of a meeting between visiting Chinese President Xi Jinping and Indian Prime Minister Narendra Modi in New Delhi, India.